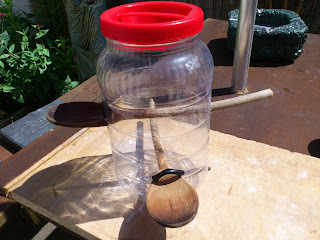 Today I am going to show you how to make bird feeder. The idea I borrowed from an image that I saw on internet, so I decide to give it a try and as it turn out to be a success I decided to share it with you. – Plastic bottle or jar. 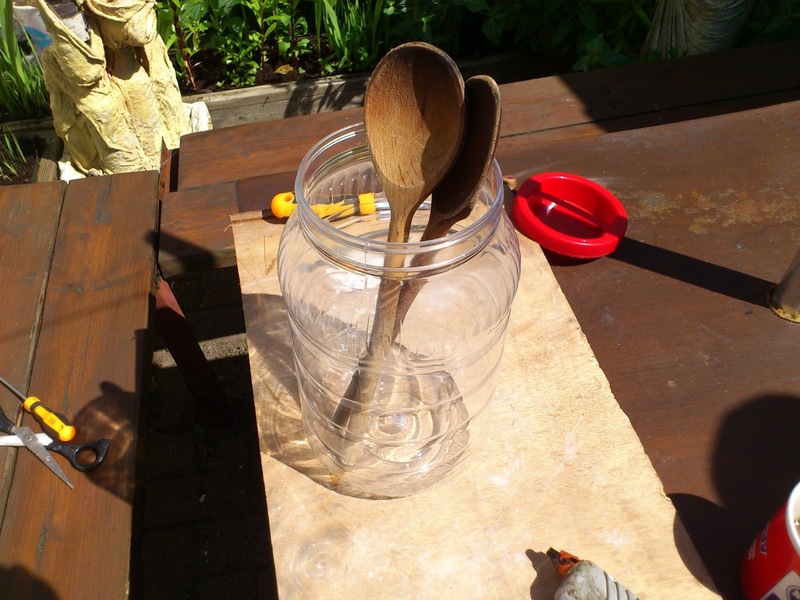 First you need to cut two holes into the bottle/ jar, the same size as the slimmest part of the spoon. Directly opposite from the first two cut another two holes, slightly bigger (see images). Next you need to cut two pieces of the rubber hose, rip them in half and stuff them into the slots, as shown on the picture. I did this in order to make it safer for the birds. 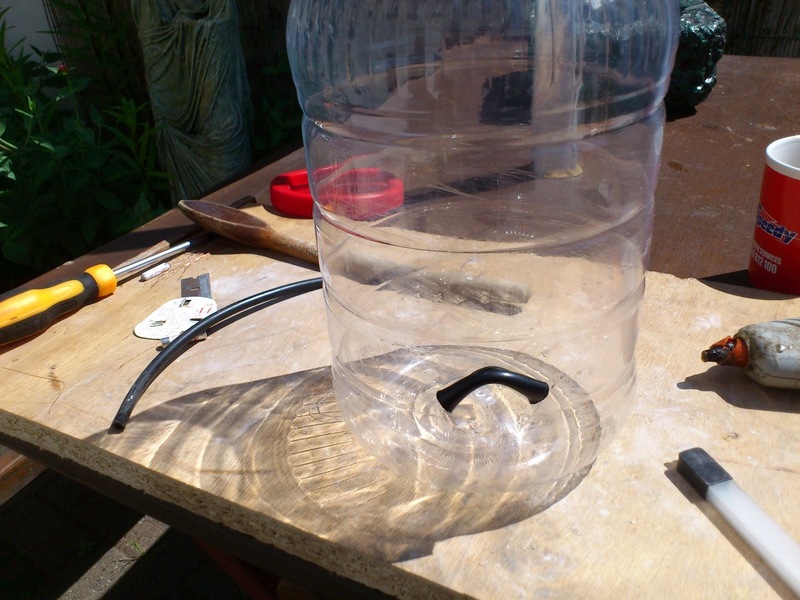 To attach the hose to the bottle I used hot silicon in order to prevent it from falling apart. 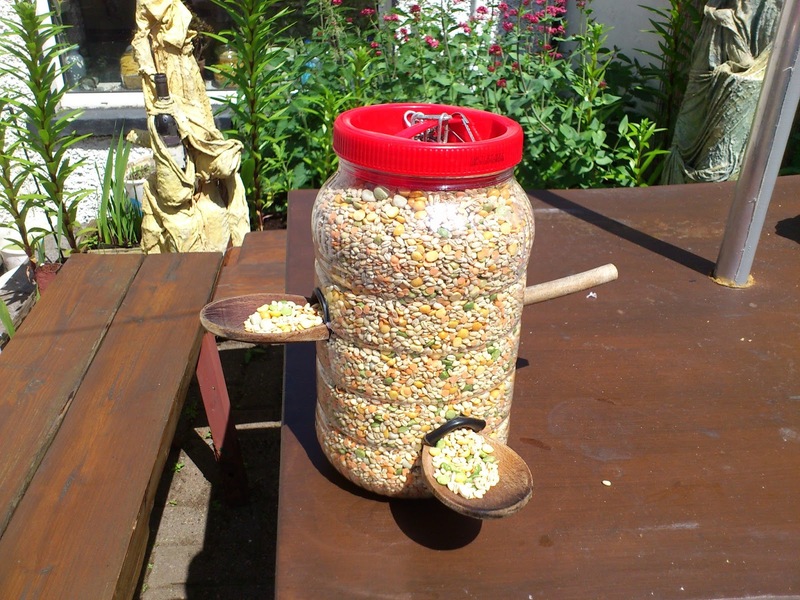 When you are done with this, take the spoons and tuck them into the holes. Good for you :)! Next you need to drill a small hole in the top of the cap of the bottle insert the chain. 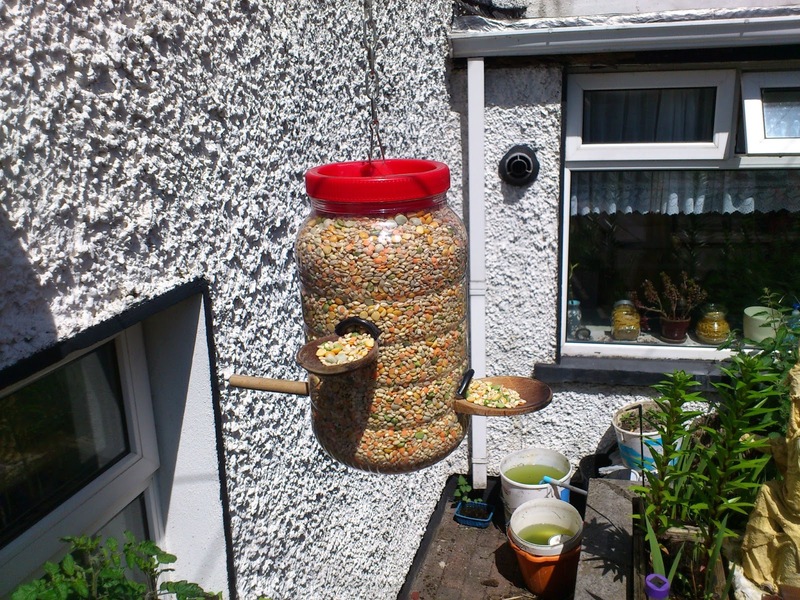 This will be the hanger for your bird feeder. Congratulations, you have done a good job! Poor in seeds screw the cap and hang your feeder in an appropriate place. 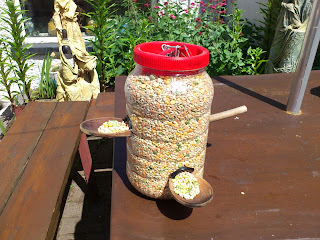 The birds will sing and enjoy the nice feeder. And again, don’t hesitate to ask me if there is any questions.